On my recent trip back home, I was visiting a friend when she called my name to get my attention. It went in one ear and out the other — I didn’t even react. “Diane?” she repeated. And only upon hearing it for a second time did I jump to action and reply. No, I wasn’t lost in my thoughts or out of earshot. In that moment, I just didn’t recognize Diane as my name. That’s because for the past three years, I’ve answered to “Deeanne.” Or the French pronunciation of my name (the French and American vowels don’t jive). The “i” in French is pronounced “ee” and my name sounds very similar in French to Deeanne. But more than my name has changed. 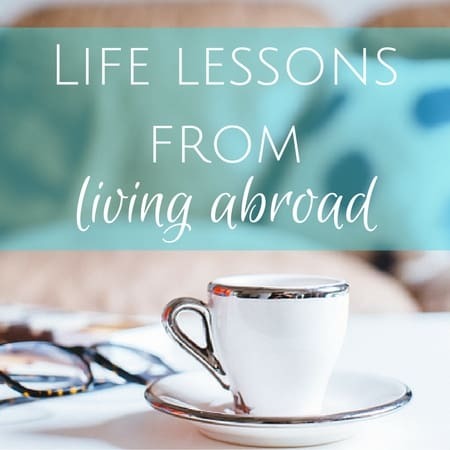 Has living abroad changed me in other ways? Of course, and maybe you can relate. 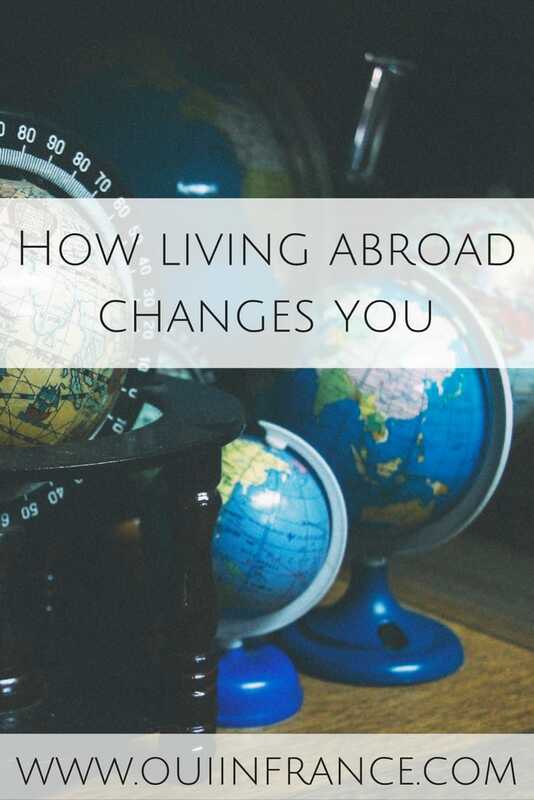 Read on for more on how living abroad changes you! The EURO/USD exchange rate is something I check daily, sometimes twice or even three times per day. Before moving to France, I’d only check exchange and conversion rates prior to leaving on a trip somewhere fun. Or maybe just out of curiosity. But now, xe.com is in my browser bookmarks along with a long list of other sites I check daily. When your money isn’t all in the same currency and you regularly make withdrawals from your American account at a French ATM, a fluctuation of just one cent in your favor feels worthy of a victory dance. And when it was time to buy our house, even the smallest change could make a huge difference in the timing of our wire transfer. Yes, I admit I obsessively check the EURO/USD exchange rate. The distinction between normal and weird isn’t so clear anymore. For example, I shake my head at the French who don’t think picking up after one’s pet is necessary (though I’ll admit I’ve seen more people picking up their pup’s poop lately), I used to find bisous so weird and uncomfortable (remember the French don’t greet each other with hugs) and was always confused why the French consider the second floor of a building the first (ground level is 0, so the first level up is the first floor and not the second). Now the French way seems normal to me, not weird at all. Bisous are strangely natural — but still strange. And stores closing at 7 p.m. is normal (although I still don’t like it). And speaking of brilliant, the debit/credit card accessible toll plazas everywhere are great. And why don’t we finish our meals with cheese in the U.S.? 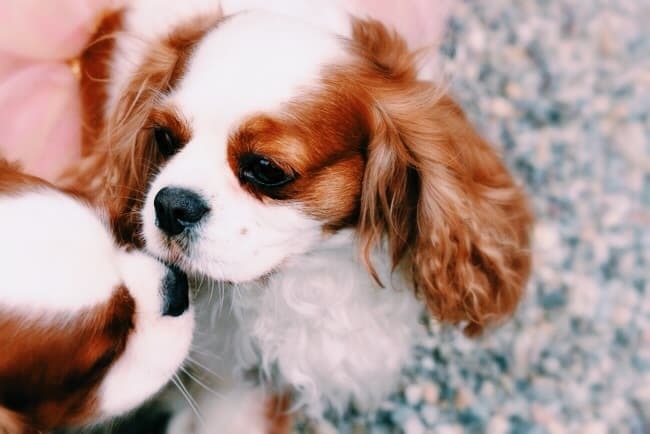 What about leisurely Sunday walks and slowing down in general? We can learn a lot from the French. I’ve always been a strong believer in things working out the way they should. That bad days or weeks will resolve themselves and in the end, you’ll emerge (mostly) unscathed on the other side. But sometimes in a moment of despair, you doubt yourself or can’t see the light at the end of the tunnel. Ever since moving abroad and embarking on a life I never thought I’d be living, I see that anything is possible. Things aren’t always comfortable or easy, but I no longer doubt that things will work out in the end in a moment of despair. They have in the past and any temporary difficulties in the moment will be exactly that, temporary. I survived the bureaucracy madness, the paperwork, the language mishaps, the loneliness and I’m proud I’m still here. Bring it on, France! Little annoyances don’t faze me. I’m the type of person who is always early, likes to-do lists and to have a plan. For things big and small. Back home, maybe an irritating change of plans due to something out of my control would bum me out, but now these little things just get chalked up to life being unpredictable and I take them as they come. No big deal. I’ve changed, big time. Minor hiccups like changes in plans, a detour when you’re already late, protests in the street, etc. don’t really faze me. I actually expect them. I’ve had my share of much bigger frustrations (that merit getting a little annoyed) as a foreigner abroad, so the little things just don’t get to me. Sure, things like these are annoying but they’re not the end of the world. So what if you’re a little late? So what if you don’t get everything done on your to-do list. There’s always tomorrow. And I’ve chilled out a lot while waiting for tomorrow. I’ve learned all about resilience. Bouncing back is a skill you don’t really learn until you’ve had to do it a bunch of times. From little slights to major fails, I’ve learned about the importance of being resilient. No one who has ever moved abroad will tell you it’s easy. Maybe parts of it are. Maybe. But let me tell you right now that moving to France and leaving life as I knew it behind was the most difficult thing I’ve ever done. Throwing yourself headfirst into a new culture is a fantastic way to find out how you deal with stress, uncomfortable situations, change, a new language and more — often at the same time. So when something gets you down (and it will), you can wallow for an hour or a day or a week but then you have to get the hell over it. You don’t have a choice other than to get over it. If you don’t speak French, no one will understand you. If you don’t try and put yourself out there, then you will never meet anyone fun to hang out with. When people do stupid things, I’m a master at letting them get under my skin, but lately I’ve realized sometimes it’s best to just let it go, bounce back and live your life. And maybe it took a move across an ocean to see that. 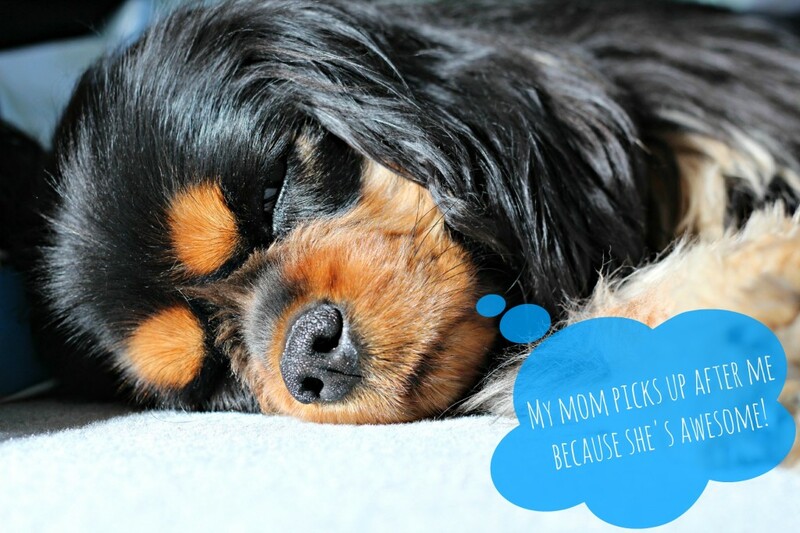 Can you relate? Tell me how living abroad changes you. What would you add? I like the way the French say our name. Very charming haha. I never corrected anyone and am glad I didn’t. Sounds good to me! Funny how these Frenchisms become habits so quickly. I forget, how long have you been in France? Have a wonderful week as well! Hoping I get some trick-or-treaters! When we lived in Indonesia I was horrified to see trash everywhere, and worse, to see a friend throw a dirty diaper out a car window. I’d always thought we should take care of the earth, but to their way of thinking, Out of sight, out of mind, not my problem. They aren’t as bothered by litter as I am. Travel and living overseas have taught me that many of my values are cultural, even the assumption that we should take care of our environment. Yeah. That’s why I travel. Yes it’s true… And I learn a lot of things in US too (I’m French 🙂 ). For exemple, I really like the cashback in stores (you can’t find this sort of things in France) but I don’t like the cardboard walls and ceiling, we can really hear our neighbours! Oh my goodness!! 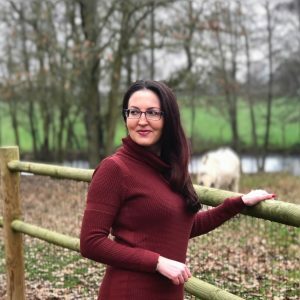 I have lived as an expat for 3 years and returned home, now after a few years home I’ve decided to go overseas again and I’ve been worried if its the right thing to do…. but your post has reminded me of the patience and resilience I had to learn when i was overseas and how much I appreciated those lessons. Also while being home again, as great as it has been, I have started to feel comfortable and very familiar with everything so the thought of having to use those lessons in resilience again is a little bit scary, but it also reminds me that I’m ready for it! Thanks for taking the time to comment, Janice. Glad you found me and best of luck to you on your next adventure!